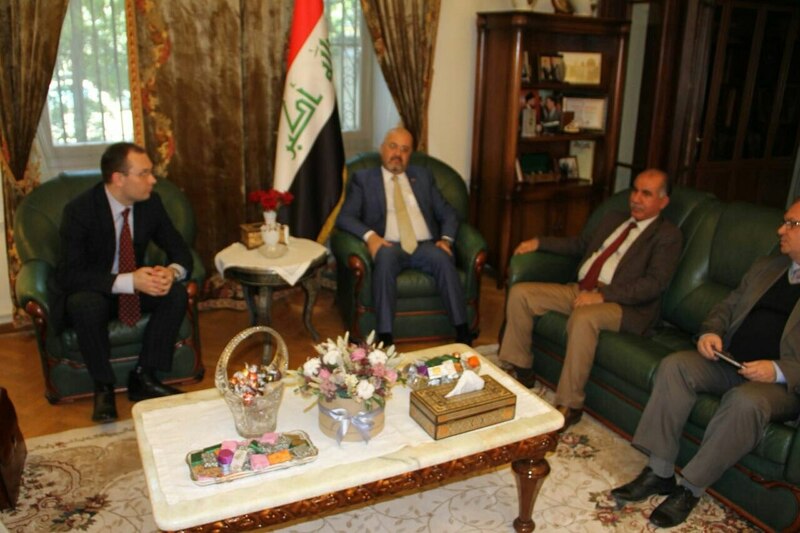 A delegation of Ural State University of Economics headed by its Vice-Rector for Social Work Roman Krasnov visited the Embassy of Iraq in the Russian Federation to hold talks with the Ambassador Extraordinary and Plenipotentiary of Iraq to the Russian Federation Mr. Haidar Mansour Hadi. During the business visit, Mr. Ambassador noted that Eurasian Economic Youth Forum had established itself as an efficient modern international platform. The Ambassador Extraordinary and Plenipotentiary of Iraq in Russia saw it for himself during the April working trip, visiting IX EEYF. The main focus of the meeting was a discussion of USUE inclusion to the list of Russian universities, which are recognized by the Ministry of Education of Iraq. It means that a citizen of Iraq who received a USUE diploma would not need to confirm his/her qualifications at home. Currently, twenty students from Iraq are studying at Ural State University of Economics. It bears reminding that in an exclusive interview during a press conference held at USUE during IХ Eurasian Economic Youth Forum, the Ambassador Extraordinary and Plenipotentiary of Iraq to Russia Haidar Mansour Hadi said that Russia for Iraq was an important strategic partner. Iraq needs the support of Russia to establish peace.